Hi, I am Dr. Jacqueline Berk, I have been a doctor of chiropractic for almost twenty years now. I have been practicing in Clinton, TN at Anderson County Family Chiropractic since 1996. I feel blessed to serve this community and make a difference in people’s health without drugs and surgery and bring health to people by treating them with my hands only. I want you to understand how chiropractic care saved my life and how I became a chiropractor. When I was eleven I was in a dreadful car accident. Our car hit ice and flipped eight times down to another highway. I lost my brother who was only eight during this accident and my entire family was severely injured except myself. I walked away from it without a scratch. Shortly after the accident I started to experience severe migraine headaches. I felt like my head was going to blow off or my brain was being squeezed to death. Nothing helped. I was on every medication that was out there for migraines. At one point I almost had given up. The pain was non-stop. It would shut my body down for three weeks at a time. I would have to find a pitch black room and not move. I could not handle this anymore. I knew there had to be some way to help these terrible headaches so I decided I wanted to be a pediatric neurologist to help other children not suffer like I had suffered. I was premed at the University of New York at Binghamton and worked very hard at my schooling. I received early admission to Cornell Medical School. Between my junior and senior year of college I got a summer job at a chiropractor’s office, I saw people walking in miserable and walking out wonderful. I had no idea what was going on but I knew I had to find out. I asked the chiropractor what he was doing. He explained to me, then I went on to explain my history. He started to treat me and my migraines grew more tolerable. I went back up to my university and found a chiropractor and a job. I gave him my paycheck every week and my migraines were less frequent and intense. I was living again! I could not believe it I thought I would have to suffer for the rest of my life.I was about to fly to University of Virginia for another interview when I decided that chiropractic was my calling. It was saving me! 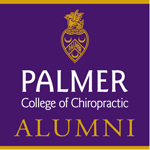 I changed careers and moved to Iowa and graduated with honors from Palmer College of Chiropractic, the fountainhead of chiropractic. The Adjustment of My Life! While in clinic another student asked me to adjust him, I did and it was the beginning of a new chapter of my life. It was the adjustment of my life! The student was Dr. Farmer and we have been together ever since. We feel it is our God Given Purpose to serve all those people that come into our lives for help. I don’t want any person: adult, baby, child, and elderly not to live a full life! I don’t want anyone to suffer with pain like I had for an entire decade if I can help it. It is my mission. Please let me help you. FYI I have not had a migraine for over twenty years! Thanks for taking the time to get to know me. I look forward to getting to know you and helping you gain your life back! Please contact me at Anderson Family Chiropractic and schedule your appointment today.